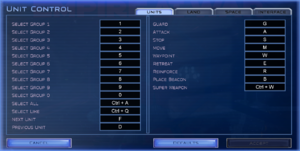 Additional maps, units, and factions available through a strong modding community. Does not support online play (LAN only). The Steam version already includes all of these patches. 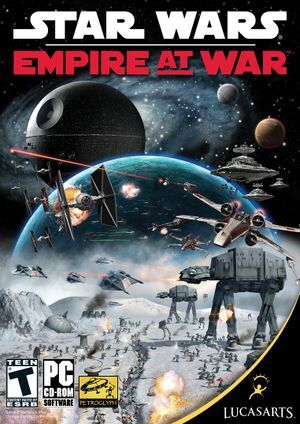 Star Wars: Empire At War 2 GB RAM & MP Lobby Fix - For both the base game and the expansion. Will lock up some systems. 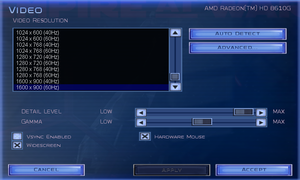 Confirmed working R9 390x. 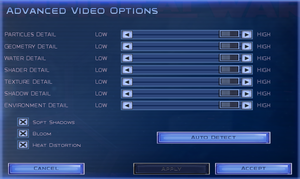 Select windowed mode in video options (Steam only) or use the WINDOWED command line argument. Added in Forces of Corruption expansion only, in slide-bar format. Capped at 200 FPS. Retail version capped at 85 FPS. 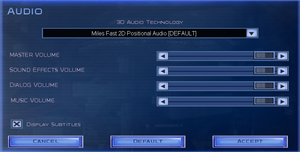 Separate master, dialogue, effects and music sliders. Subtitles only shown during cutscenes. Supports up to EAX 4. This usually occurs when starting a campaign or tutorial mission in the Forces of Corruption expansion pack. Go to <path-to-game>\Data\XML\ and drop the file there. The non-Steam version of the Forces of Corruption expansion pack has compatibility issues with 64-bit systems that have more than 2 GB of system RAM. Go to <path-to-game>\EAWX and rename sweaw.exe to swfoc.exe. 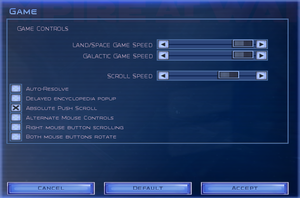 GameSpy, Steamworks Steam version uses Steamworks. ↑ 2.0 2.1 File/folder structure within this directory reflects the path(s) listed for Windows and/or Steam game data (use Wine regedit to access Windows registry paths). Games with Steam Cloud support may store data in ~/.steam/steam/userdata/<user-id>/32470/ in addition to or instead of this directory. The app ID (32470) may differ in some cases. Treat backslashes as forward slashes. See the glossary page for details.